Because it lives in protected areas it is not very threatened, but it is disturbed by hikers and climbers, which can cause it to abandon its nests. Identification: Bird with very wide wings that are red, black and white and that can be easily seen when the bird flies jerkily among rock massifs. Most of its plumage is greyish, but during mating season, the male acquires an intense black colour on his chest. Its bill is long and thin. Song: Quite silent. It song is prolonged with long whistles in ascending and descending phases. "too….rooooh…zeeuuu". Diet: It feeds on all kinds of small invertebrates that it captures in holes, cracks and ledges in rock walls. Sometimes it consumes tree bark. Reproduction: Its breeding period begins in May/June. The construction of the nest is carried out by the female in an inaccessible area of a rocky wall and she uses moss, roots, small bits of wood and roots. Incubation is also performed by the female alone, while both parents can participate in feeding the chicks. Later, the chicks become independent. It occupies the alpine and subalpine floor. It lives exclusively in rocky limestock areas that are practically inaccessible, but in passage and when wintering it can be seen in silicon and clay chasms. In Spain: Limited distribution, principally in the central-eastern region of the Cantabrian and Pyrenees mountain ranges. During winter, it is also found in Sierra Nevada and some parts of Extremadura, but it is very rare. In Castile and León: It is rare. During winter, it is found in limestone gullies and canyons in Castile and León, principally in the Picos de Europa mountains. Movements and migrations: In the Iberian Peninsula, it makes small migrations from its breeding area, of less than 1,000 km. 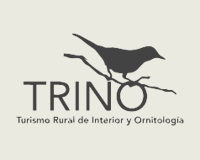 In Spain: There is an estimated population of 9000-12000 breeding pairs, but there is not a lot of information due to difficulties in observation caused by its habitat distribution.